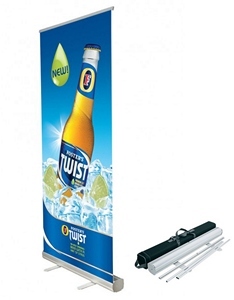 The Retractable Banner Stand which is also known as a roll-up banner is the most effective solution for temporary signage. Perfect for conventions, sales events, trade shows and lobby signage. Each banner display features a light aluminum base with a silver anodized finish. 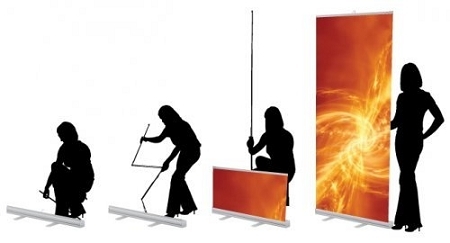 For easy storage and transportation, the pole folds into the base. The retractable stands are conveniently packed in a small bag (included) and set up in a few easy steps. I purchased three retractable banner stands for a trade show we were involved in. The whole process was easy - from placing the order, to uploading the art work - and the results were exactly what we were looking for. I highly recommend working with Other Designs - you won't be disappointed.